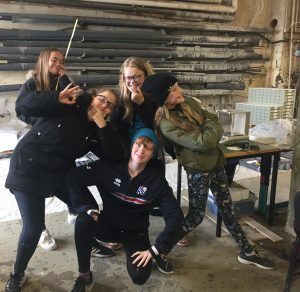 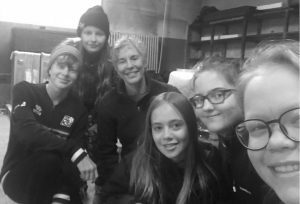 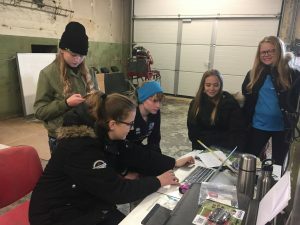 Today, the 7th and 8th grade girls (Unnur, Bertha, Thorgerdur Katrin, Eva and Maria Fonn) of the Heimaey Chapter of Scouts International explored the Surtsey drill core. 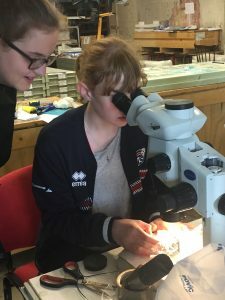 Everyone got to observe mineral cements and volcanic textures with the stereomicroscope. 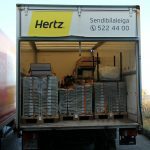 They saw the core archived in trays and new data from the 1979 drill core, and asked lots of really good questions. They also got a bit silly after all that science!